The latest design in barbecue tools. The handles have built-in comfort grips that give perfect balance… The moment you pick them up you can feel the difference. 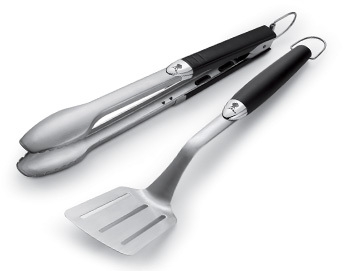 Comprises tongs and spatula. Categories: Accessories, Weber BBQs. Tag: Weber.